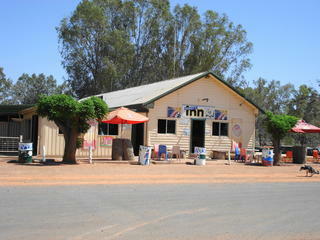 Shindy's Inn Est in 1859 by T.A. Matthews to cater for the passing river and land based trade. The town built up around the Pub and has a population of around 50. The walls are covered in Pubobilia from the paddle steamer days. Louth is a small settlement on the banks of the Darling River, established in 1859.